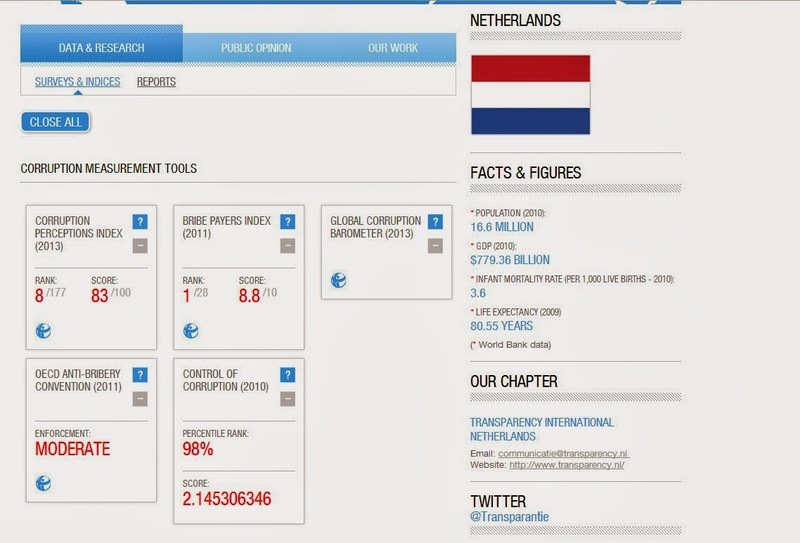 The Netherlands is generally speaking an honest and non-corrupt country. The honourable eight position on the anti-corruption list of Transparency International is both an encouragement and a warning to continue the current road of well-developed structural honesty, anti-corruption policies and good salesmanship. Nevertheless, I have noticed lately that a few serious cracks have emerged in the spotless reputation of both The Netherlands and the Dutch (multinational) companies. With this two-episode article, I want to make an inventory of events concerning bribery, embezzlement and fraud, in which renowned Dutch companies have been involved during the last few years. And today, the news was published by Bloomberg that a few companies had been raided by antitrust officials from the European Union: two electronics companies and two retailers (of the same family tree). These companies are currently under suspicion of making illegal arrangements, that were meant to hamper the sales and distribution of household electronics through online shops. And guess which was one of these electronics companies?! You guessed right: Philips. To the defence of Philips I could say that this company is fighting in some of the most competitive markets there are and that it is sometimes difficult to not get ‘out of bounds’ with your business. Nevertheless, the competitors of Philips have to deal with the same market circumstances; so this is definitely not an excuse. Also this multinational building and construction company might be considered as a serial offender, although I didn’t mention the firm so prominently in these lines. Since the beginning of last year, the Dutch justice department is investigating the fraud, with respect to the cover up of bribe payments at Ballast Nedam. Last week, the Telegraaf stated that Jack van R. […] became certifying accountant at Construction company Ballast Nedam. According to an insider, Van R. soon discovered irregularities at the building company: “He halted the bribery payments and the shadow bookkeeping, in which Swiss bank accounts were used”. Allegedly, the bribery payments were used to obtain building projects in Saudi-Arabia. The settlement that construction company Ballast Nedam made with the public prosecutor in The Netherlands, was the consequence of the company having made bribery payments for obtaining building projects in Suriname. This was disclosed by NRC Handelsblad, based on anonymous sources. Starting in 1997, the building company paid – in instalments - €34 million, for receiving a tender to build two bridges. The money would have been wired to then President Jules Wijdenbosch and his state advisor and current President of Suriname, Desiré Bouterse. As a matter of fact, in the Seventies my beloved, late father worked on the bookkeeping department of Ballast Nedam. Already in those days, he told me that the payment of large sums of bribery money was inevitable, if you wanted to do ANY business in the Middle-East. He stated (and why would I doubt his words as an insider) that bribery money sometimes accounted for no less then 50% of the whole contract amount, in these Middle-Eastern contracts. No construction company could escape from this fate, if they wanted to continue their business on these extremely lucrative markets. It seems that very little has changed in the fourty-odd years after this confession by my father. Still, paying massive amounts of bribe money to the 'powers-that-be' is illegal and killing for the fair development of an emerging country. The only way to prevent from this extremely disruptive kind of corruption, is catching and sentencing all perpetrators on both the supply and demand side. The more I think about this mega-loss of €300 million, the more I am convinced that there is something very, very wrong within Imtech and that it is almost a miracle that the organization still exists in its current form. I buy neither of these three reasons for a dollar! The last two reasons had also been mentioned during the bankruptcy case of a former employer of mine in 2002. In reality, this whole bankruptcy case dispersed an intolerable stench of fraud, forgery and embezzlement of company money from every pore of the organization. A more realistic reason, in my humble opinion (yes, this is an opinion, which is based on my personal gutfeeling) is therefore that Imtech became the victim of wide-spread fraud, embezzlement, forgery and / or bribery with company money (strike where not applicable). In my opinion, this is the only realistic reason for losses to this gargantuous amount of €300 million. How else could a large subsidiary lose 20% (!) of its annual revenues, without anybody noticing it at the head-office in The Netherlands?! In the months after this article, my humble opinion (see red and bold text) in the aforementioned snippet very quickly turned into reality: there had indeed been fraud on a massive scale in the German / Polish operation. If I had desired so, I could have written numerous other articles upon Imtech. Gerard van de Aast, the new CEO – in charge since 2013Q1 – ate massive portions of ‘humble pie’ to meet with the shareholders and other financiers and solemnly swore that he would sweep out the company, until the last piece of dust had disappeared foregood. Nevertheless, today it was again ‘Bingo!” for Imtech. Technical service provider Imtech is yet again ‘the talk of the town’. A Swiss subsidiary of Imtech has allegedly bribed a Swiss official, causing that the Swiss government has been harmed for millions of Euro’s. Executives of the Swiss subsidiary of Imtech, Fritz & Macziol, would have bribed a high official and would have embezzled money to the tune of millions of Euro’s, by creating false invoices. The public prosecution has targeted three persons, among whom the high official himself and the CEO of Fritz & Macziol. These people are looking at a possible imprisonment of five years. I am sorry to state this, but Imtech seems one of those companies that have so many dead bodies floating around, that no clean up operation will ever be large enough to take all “manure” away. Gerard van de Aast has almost used the full extent of 2013 for his huge clean-up operation within this battered company and he had to write off losses to the tune of almost half a billion Euro’s. Unfortunately, however, the year 2014 has hardly started and ‘serial offender’ Imtech is again in the crosshairs for an investigation, with respect to fraud. This is probably the reason that – with an official rate of 7.8% (measured today on the AFM shortsellers list) – Imtech still has a prominent position on the list of companies to which considerable short positions apply. And this, in spite of the fact that the company is quoted in the main index of the Amsterdam stock exchange, the AEX. I will come back to this, as I am planning to write a second part to the article, in which SNS will of course have a prominent role. Unfortunately, I have to deal with serious computer problems in the meantime, so this might take a few days.